I was excited when I picked up this book from the library because it had been on my Wishlist for some time. I was instantly drawn to the World of Lia and Alice in Birchwood. When the book opens, 16 year old twins Lia and Alice and 10 yr old Henry are at their fathers funeral. Their father dies a strange and sudden death leaving them in the care of their Aunt Virginia. Soon Lia sees a mark on her wrist, a circle with a snake coiling around it and she struggles to make sense of it. Then she learns of an old prophecy, a prophecy that places 2 sisters on the opposite sides, one evil and the other good. She realizes that there is something sinister at work and that this time she and her sister Alice are at the opposite sides. 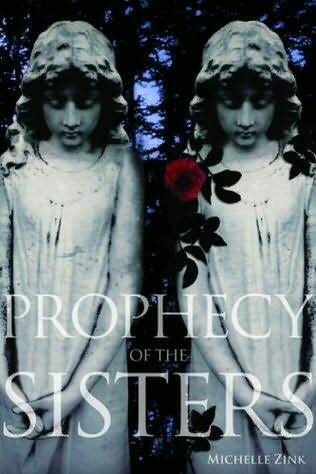 I loved the story, I loved the idea of 2 sisters against each other and I loved the Gothic atmosphere in Prophecy of the Sisters. I was engrossed in the book for the first 200 pages and could not put it down. But…yes, I’m sad there is a but, the story got too complicated at times. Lia is trying to understand the prophecy and her place in it for almost the entire book. I was waiting for the action to start, but that was not to happen in this book. Because most of you know by now, there is a sequel to the book called ‘The Guardian of the Gate’. I was hoping there would be some conclusion, or at least a part of action that would be over and done with in this book. Alas, that was not to be. It just worries me that I will forget a lot from this book before I can get hold of the next one. The book is from Lia’s point of view. The other characters interested me more than Lia. I would have loved to have a first person account from Alice and possibly a little from Henry. Those were the characters I found most interesting. Nonetheless I would definitely recommend this book to YA and fantasy lovers and begin stalking the library for the second book. When I read the book synopsis, I thought this would be a serious book since it deals with a psychological disorder called Globus Sensate where Sophie feels like something in stuck in the throat as a result of which he/she may find trouble eating or in extreme cases- breathing. So when I opened the first page I was prepared for a sad saga. But Swallow is far from sad. It’s a look into the life of a New York lawyer (intern) who seems to be awkward, lacks confidence and generally looks down upon herself. Sophie Hegel is working as an intern in a New York firm acting as a criminal appeals attorney. I obviously had no idea that there are attorney’s just for appealing cases. But I did get a lot of information about it from this book. Sophie seemingly has everything. A hot-shot lawyer for a boyfriend-Stephen, a fabulous New York apartment which she lives in with her Stephen and a job as an intern which could possibly turn into a permanent one. But as a reader you learn from the very first chapter that Sophie had self-worth issues. Coming from a small town in Arizona, Sophie never feels like she completely belongs and is not comfortable with people she thinks are more successful and more sophisticated than her. Things start going wrong when Sophie discovers that she has problem swallowing even simple things, including drinks. After confirming that she has no physical problems she is hoping to find answers from her psychiatrist. This book is not about a disease. It’s about Sophie’s struggles, not only with her self-issues but also with her relationships- her mother, her sister who has 3 children out of wedlock and her father who makes pornographic movies. As I said I expected this book to be dark and serious but it actually reads like a chick-lit or a light novel, which was a welcome change. In spite of this, the author never undermined Sophie’s problem or made light of it which I really liked. Sophie is a very likable character most of the time and although you get a good glimpse into Sophie’s character, I wish some of the other characters were explored in little more detail, like Stephen or her father, whom I really disliked and was intrigued by at the same time. At times I thought the book was not moving at all, especially in the middle. But it really picked up pace for the last 100 pages which was nice. Would I recommend Swallow? Yes, definitely. I found it very entertaining. But if you expect to find more details about the psychological disorder, you’ll be disappointed. Go into it expected a light hearted novel and you’ll enjoy yourself. I would even go as far as calling it a Beach read. Oh and by the way, do you know that the author Tonya Plank is a dancer? I find that really cool. I loved the first book in this 2 book series so when presented I grabbed the opportunity to review the next book. Besides I was dying to know what happened after ‘And Then Everything Unraveled‘. In the first book, Delia’s mother goes missing and is declared dead. Delia has to move places and go stay with her aunts in New York where she also meets Adam. Adam, other than being her love interest, helps Delia to find out more about her mother. And Then I Found Out The Truth is a continuation and needless to say it contains spoilers. You can try reading the second book without reading the first but I really wouldn’t suggest it. So if you haven’t read the first book, this review contains spoliers. Skip to the end to know what I think of this book. The first book ends where Delia finds out that her mother is not dead but is hiding somewhere in South America. In the second book she finds out the reason and the corporation involved in it. She and Quinn try to find out answers and although Delia does get sidetracked by Quinn and her friend (she is after all her teenager), she does get on track eventually. Besides, it gives the reader more to enjoy and laugh about. This book was as enjoyable as the first and as much fun. I was so happy to finally get all the answers. Even though this is a mystery involving Oil drilling, it does not get into the details. It is just a very happy and feel good book like the first one. The only thing I wished was this was one book instead of two. I really don’t see the reason for splitting the two books since both are pretty small. I hope in the future this book is offered as a two-in-one promotional pack or something like that. On the whole, if you want a fun and light book to go to, something to lift your mood, this book is just for you. I can’t wait to see what Jennifer Sturman comes up with next. Ruby Cooper is a 18 year old teenager who shoulders more burden than she should at such a young age. Her mother is an irresponsible women who cares more about herself than Ruby. Ruby has grown up taking care of herself and moving homes and schools according to the shim and fancies of her mother. One day, her mother disappears and she is left alone at the run down yellow house. Ruby manages on her own while she can for about 2 months until her landlords find her living alone in the house and turn her over to the social services. Thats when her elder sister, who had left home and never come back, takes her in. She is now married to a guy called Jamie and has a huge house and a good life. Everything she had always wanted. But for Ruby, she is a stranger. After not knowing anything about her sisters whereabouts, now being in her house at her mercy was something that was overwhelming for Ruby. As she decides what to do next and as her life is being turned upside down, she meets a guy called Nate, a neighbor. Having heard so much about Sarah Dessen I had very high expectations. I started Lock and Key, read a 100 pages, thought the pace was very slow and was still wondering what is so great about Sarah Dessen when ‘Baam’, I was hit by her writing powers. There is no other way to describe it. She explores a lot of themes that many YA novels do, relationships, family, responsibilities, grief but she does it so well. I cried so much at one point that I had to lock myself in the bathroom so that nobody sees me crying over a book. Sarah Dessen writes characters that grow on you, be it Ruby, Jamie, her sister Cora and even the pet dog Roscoe. Initially I was disappointed in Nate as he seemed like any other YA novel hero. But as the story progressed, and the layers peel off, we get to know things that make him different. Lock and Key is about many things-finding the meaning of family, of grief, of being there for someone you love even when all you can do is just be there, of accepting help when needed, and of believing in yourself and the power of changing your destiny. It’s a lot easier to be lost than found. It’s the reason we’re always searching and rarely discovered–so many locks not enough keys. We can’t expect everybody to be there for us, all at once. So it’s a lucky thing that really, all you need is someone. This is exactly what I wanted, as commitments had never really been my thing. And it wasn’t like it was hard, either. The only trick was never giving more than you were willing to lose. If you didn’t always have to choose between turning away for good or rushing in deeper. In the moments that it really counts, maybe it’s enough – more than enough, even – just to be there. What can I say? I’m a new fan. I have ‘Just Listen’ by Sarah Dessen so I have one more book to look forward to. If you love YA and haven’t read Sarah Dessen, you seriously don’t know what you’re missing. I first heard about this book on a book drive. I think it was a very brilliant initiative but somehow it put me off buying the book. I don’t know why but it did. But last week I told myself to stop being foolish and pick up the book. So I did. I guess by now everyone knows this is not a Ghost Story. This is a story about Katie and her attempt to dealing with the loss of her mother. While working on the estate garden of Ms. Martine who has been a recluse and has not come out or shown her face to the outside world for more than 50 years. Katie feels there is a mystery to all this when she is assigned to a gazebo digging project in the Garden. As she struggles to find the mystery of Ms. Martine’s disappearance, she also struggles with her own ghosts, the ones she has carried around since her mothers death. So thats the basic plot. What I liked about the book? Well, the writing was brilliant. The author can write about grief and suffering so well that you can’t help but feel for all the characters. Speaking of characters, I loved all of them, even the minor ones like Sammy, the 4 year old neighbors kid. I loved the setting of the story and I could almost feel like I was there among the lush greenery of the garden estate. What I didn’t like in the book? For one, I found it a little slow. Second, I think I’m the only one who has this problem but I think Katie finding out about Ms. Martine’s history and secret was something that was none of her business in the first place. If someone who is still living has kept herself hidden and her past buried, there should be a perfectly good reason for it. Trying to find out about that secret was like not honoring that person’s wishes. I really struggled with that part of the story. Other than that, even though I liked the book, it was kind of forgettable for me. I’m not sure I would remember anything after a few months. 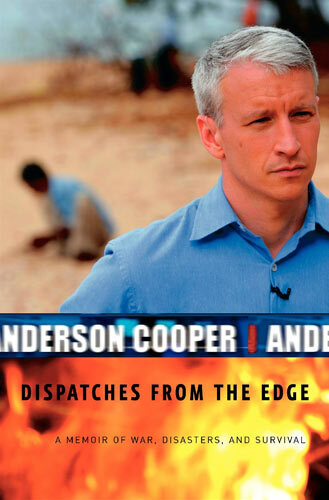 But…as you might have seen around the blog-sphere, majority of the readers have loved this book. I really wanted to love it too but it just wasn’t meant to be.